iPhone 4S vs. Nokia Lumia 900 Comparison -Which is Better? So far, the iPhone unlock are one of the biggest problems and pain for the iPhone users, and as well as for the iPhone baseband hackers who work hard in discovering the exploits and baseband tricks to bring unlock on the new and older iPhone devices. The iPhone 4S is already completely unlocked with hardware unlock, but the iPhone 4 is still locked on some baseband due to negligence of hackers, and focus on new-generation devices. It is reported that someone in the community has just discovered another exploit in the jailbroken iPhone devices that allow users to unlock their iPhone 4 / iPhone 4S using a SAM (Subscriber Artificial Module) package. It appears that the tweak will work like an Ultrasn0w to unlock the devices, and the current highlighted method is also verified from the iPhone DevTeam’s key member MuscleNerd. 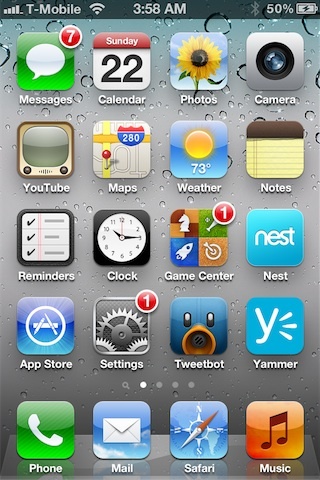 The MuscleNerd has commented on his profile that he is able to Unlock iPhone 4S using SAM, and successfully able to run it on T-Mobile’s network. Undoubtedly, it is really good news for the iPhone users who was struggling with a locked iPhone baseband, especially the iPhone 4 “04.11.08” baseband users. The iOS iPhone hacking community is pretty active on the new iPhone 4 / iPhone 4S unlock to exploit, as it allows users to unlock iPhone devices using an existence jailbreak tweak, and allows to spoof the iTunes network completely and make it to think that you are using a legit device, and as well as the exploit work as on iOS 5.1 but tethered only, as the iOS 5.1 is the only tethered jailbreak. Step 1: Step one: Install Sam Bingner’s SAM (Subscriber Artificial Module) package. I recommend that you get it from repo.bingner.com since older versions have a different interface and may not work for this purpose. Step 4: With SAM enabled, choose “By Country and Carrier” in “Method”; find your carrier, for some carriers operating more than one Carrier ID you may need to select “SIM ID”; if you pick the wrong one this won’t work. Step 7: Connect your iPhone to your computer and allow iTunes to activate it, double click “Phone Number” parameter at the main device screen and make sure that the ICCID matches that of your SIM card. If not you need to start over from Step 1. Step 9: Disable SAM. The source article says to uninstall SAM and delete your lockdownd profiles; it’s unnecessary. Step 11: You should see signal bars in a short time, congratulations. Step 12: Push notifications may stop working after this procedure but can be easily restored by “clear push” utility in SAM followed by connecting to iTunes. Note: According to the iPhone unlock trick, you can only use the SIM on your iPhone and can switch between the original SIM, which you used at the time of unlock your iPhone. It is an iPhone unlock trick, but still comes with some sort of limitations. Apple has recently seeded the new iOS 5.1 firmware version in the public, along with the announcement of the iPad 3 in public. The update includes the number of new features, security patches, new challenges for the developers, and a complete new support for the Japanese in Siri for the iPhone 4S users. With the iOS 5.1, Apple’s intelligent virtual assistant learned a new language to speak all over the world with similar ancient users. 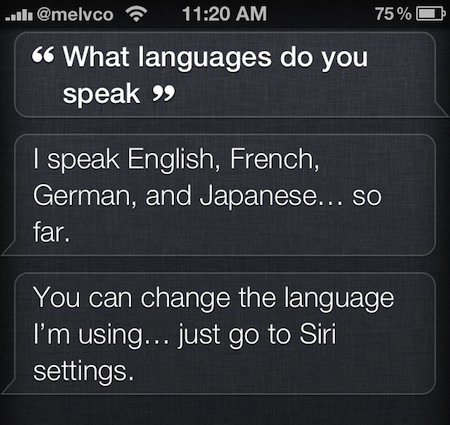 But what if Siri doesn’t currently support your language? No problem, there is already a developer out there with having a successful prototype in its hand running with a Hindi language, which is currently not supported by Apple’s official Siri service. The project is initialized by iOS developer Kunal Kaul, who claims to develop a Siri Project that enables it to speak a Hindi language with the help of its own managed Siri Proxy server. He has demoed a video showing up its iPhone 4S Siri able to speak Hindi with a little help of its own configured Siri Proxy server integrated with Google Translate API, which is capable of translating English into Hindi. However, the process of using a proxy server to enhance the Siri’s capabilities has been a pretty popular these days, as a little program and user can easily configure its own proxy server on local network, and with a little how now of programming can enable different things in the Siri, like controlling lights, TV and other appliances. The developer behind the Hindi Speaking project of Siri, Kunal Kaul, has commented that there is still “lots of work to be done” before launching the feature in public.